Froovr is classed as adware which can get installed on the computer through unauthorized access and do perform unauthorized tasks. This makes your computer filled with unwanted pop-up ads and makes it even more vulnerable against other computer infections. Froovr is a type of gaming application which credibility is always in questioned. This can be downloaded from their official web site at no any cost. Yet, in most cases, PC users acquired Froovr without knowing it. The author of this potentially unwanted program merges it along with free software. This is the main cause why this adware scattered easily in many windows system without having to install it purposely. Just like GamesCake, Gamesopolis, GamesCrystal, and all other adware, Froovr do present much of good offers. It declares that this program will let users to play a wide variety of flash games. Yet in contrast, its author would be the only one who gained through this adware program. Froovr is being used as platform to deliver online advertisements in many forms. It could be in a form of pop-up ads, banners, in-text ads, discount coupons, and more other. More so, Froovr do use the virtual layer method. It simply means that this adware is able to transmit data to third party. Then third party in turn may inject graphical content on certain web site. Even Internet user�s privacy is not exempted to Froovr adware attack. It observes your browsing habit, and records all your search queries. It also tracks the web site you often visited. That way advertiser will know exactly who their target markets are. This can go far beyond that, as Froovr can even divulge your personal and vital data. It�s crystal clear that Froovr would only give you much trouble. For its sole purpose is to gain revenue through promoting ads. Therefore, it is highly suggested to be removed as soon as you can. - Control Panel window will open. Please proceed to the next step which is uninstalling Froovr. 4. Select adware relevant to Froovr or any suspicious items. Then, click on Uninstall button to remove it from Windows. To remove Froovr, download MalwareFox Anti-Malware. This tool is effective in getting rid of Trojans, viruses and malware. 1. When troubleshooting a PC, one common step is to boot operating system into Safe Mode with Networking. The same approach will be used in the removal of Froovr. Please execute instructions based on your Windows OS version. To make sure that no more malicious files linked to Froovr are inside the computer, we must run another effective scanner. This time, use Junkware Removal Tool. No installation is necessary with this tool. 6. After scanning the computer, JRT will open a Notepad containing scan logs. It may have not find Froovr relevant entities, but it will surely delete any malicious items not found in the previous scans. 4. At the bottom of the page, click on Reset settings to remove all changes made by Froovr. 4. 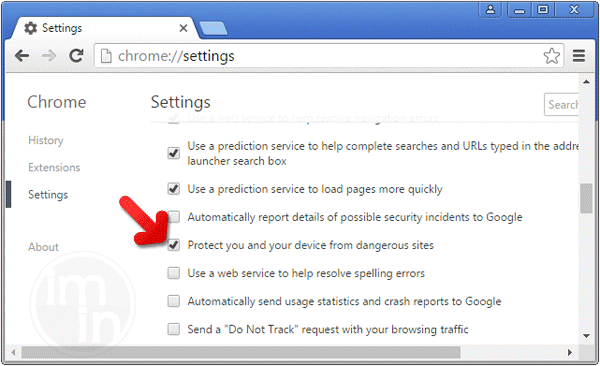 In order to reverse modifications caused by Froovr, click on Reset button to bring back Internet Explorer's settings to their default condition. 3. Click on Refresh Firefox button to erase the effect of Froovr. 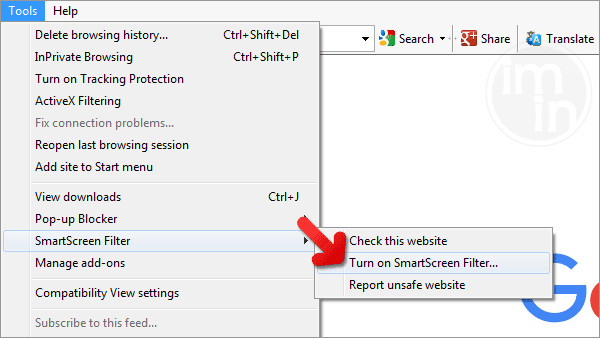 SmartScreen filter is a built-in feature in Microsoft Edge browser that can help you deter malicious programs such as Froovr. It can block malicious web sites and downloads.